1. What did you think tactic Bella uses to get out of her house? Does she go too far? Bella used an excellent way out leave Charlie. If she didn't go that far or "below the belt" as she put it, he wouldn't have let her just leave. He clearly, when he grabbed her elbow, was not going to let her go.. but when you hurt/surprise/shock someone so much like that.. it's going to make their head spin. Of course it was too far, but that's what had to be done. 2. There is a lot of interaction among the Cullens. Aside from Carlisle, the one person who can get an upset Edward to listen is Alice. What do you think that says about their relationship? They have an extremely close bond. They both have the strongest special abilities..
3. Why do you think Laurent chose to leave James and Victoria and head to Denali? He realized he would probably die along with the other two. 4. Were you surprised that Jasper could felt that Bella was worth it. What do you think lead him to that conclusion? I think she did the right thing, no matter how distasteful it was. It had to be done unfortunately. They have a very special bond, maybe to do with their ability to communicate silently. But I think it's more than that. Laurent seems like a very selfish person. He joined James' coven for the sole fact that it was strong and would benefit him. He did the same when faced against the odds of going up against the Cullen's. He knew that he would probably die, and realized he couldn't win this time around. I mean, with the Cullen's gone in New Moon is the only time he would dare attack Bella. No, I wasn't. Jasper is able to feel out the emotional atmosphere of a room. He could tell not only by Edward's actions and words, but how his emotions were emitting from him. He knows how alone Edward has felt. And he can see that it would devastate Edward to lose her. He wouldn't be able to live on. She doesn’t have a lot of time to think a believable story… She went far, that’s true, but too far? In extreme situation, we take extreme decision. She needed a cover for the Cullen and she needed to drive a crazy hunter away from her father… She hit under the belt, but for his well-being. The gift of Edward and Alice set them apart. She knows what will happen; he always knows too much about what people around him think… They share a special link; they both understand what it is to “know too much”. For me, they have a real relation brother/sister. He wonders what it is to be vegetarian and to have a steady place. And he doesn’t want to upset the Cullen family, 7 powerful vampires or James. So, he chose the third option. I felt she went to far, it wasn't necessary to hurt him that much. She could've just walked out, get in the car and drive off. I think that it's the closest relation Edward has with someone, besides Carlisle. Out of selfishness, he didn't think there would be a good outcome for James, let alone him if he chose James' side. Yes, I was surprises, because I didn't rate that as a feeling on itself. From the moment I read that Alice could see the future, I thought she must have seen a future for Edward with Bella in it. That, and the fact that Jasper could feel what Edward feels, to me, must have brought him to that conclusion. Yes. Poor Charlie taking a kick to the jewels by his daughter like that. ._. That they are very close and since Edward can see Alice's visions as well I think it allows a stronger bond due to the fact that it isn't just Alice that can see the future, Edward can too through her thoughts, and can reinforce her more solid visions on what is happening. I find it a very cute brother sister type bonding mentally and physically. I figured he knew what the other 2 were getting themselves into threatening a coven so large and gifted. I also thought he liked the idea of an alternative lifestyle the Cullen's had and wanted a change of lifestyle and going to the other clan away from Victoria and Laurent and the fight forming would keep him well away from getting caught in the middle. 4. Were you surprised that Jasper could feel that Bella was worth it. What do you think lead him to that conclusion? A little bit. I think he felt Edwards love for Bella was so deep and that the same feeling was with Bella was a perfect match. Edward has been alone and a '7th wheel' for a long time and I think Jasper knew that Bella was his perfect mate like Alice was his. I felt really bad for Charlie... I knew why she was doing it, but it was still really sad. I couldn't help but wonder...How is Charlie going to react when she returns? I think it says that Edward trusts Alice the most, and he feels the most connection with her. Probably because he thought that what James was (planning on) doing to Bella was going too far, and he wanted to stop being like that. I wasn't very surprised... 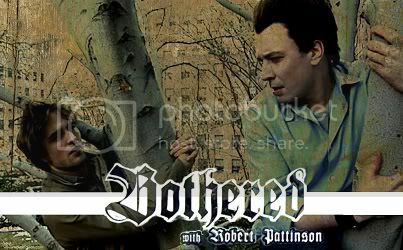 I assume that he came to that conclusion since anyone who could cure Edward's loneliness is worth it. Yeah she does go too far and I don't think that she had to go to that length to get out of the house. I think that they have such a close bond from having similar abilities and from being able to talk to each other in their heads. Also because Edwards knows that Alice can see the future, he knows that what she says is more than just an opinion on any given situation. Therefore, this is why he will listen to her even when he is upset. I think that he just didn't want to get involved in any fight so he decided not to choose a side and just leave. I also don't think he like Victoria's and Jame's way of hunting. At first I was, but if you think about all the emotions that Jasper feels towards Edward, then it would make sense. Bella brings such joy to Edwards. He feels emotions that he haven't felt in a long time when he is with Bella. I think Jasper feels that and is trying to say that their relationship is worth it despite what ever obstacle is thrown their way. It worked. Maybe she could have found a more gentle, less hurtful way to do it -- but she couldn't afford to lose, because she didn't have time for a Plan B.
I think Edward is closer to Alice than to his other siblings. They also have similar supernatural gifts in terms of knowing things that others don't, so I'm sure that adds something to their relationship. I don't think he cared enough, one way or the other, about the outcome to risk his life to save either James/Victoria or the Cullens. After all, he wasn't the leader of the coven and he had nothing to do with the plan to hunt down Bella. Perhaps he didn't want to be bothered -- after all, there wasn't much chance that the tracker would share Bella's blood with him anyway. So why bother? I wasn't surprised. Jasper has been in love himself, after all. He is also able to sense Edward's emotions when he's around Bella. So, Jasper knows, first hand, just how much Edward loves Bella, and clearly that's what makes her worth it.
. What did you think tactic Bella uses to get out of her house? Does she go too far? I don't think she could have done much else. It says that they are very close. He obviously isn't that close to them, and perhaps considers this alternative lifestyle has its benefits. I'm not sure that compassion for humans is his motivator. I think his realisation of the change that she has wrought on Edward, and the way that nearly all the Cullens already care about her. Especially Alice. That makes her worth it in his eyes. I think she had to go that far in order to hurt Charlie and get the reaction she did from him. They are very close siblings. Laurent liked what he saw the Cullens had. Happiness a family who cared for one another. A home. He knows how much Edward cared for Bella. It reminded Jasper of what he has with Alice.